Today we have a bit of news around the three different Intel LGA2011 sockets that will be offered by the end of 2014. 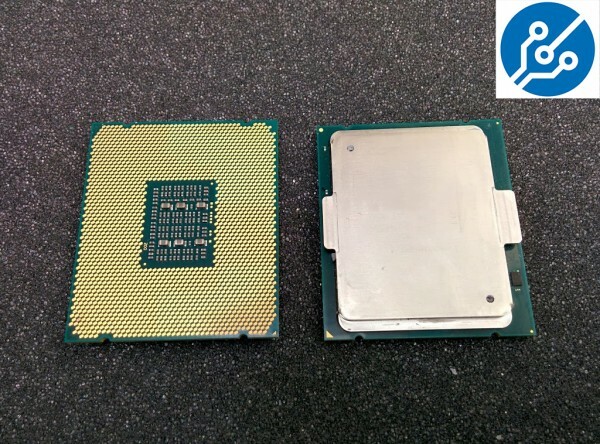 The original Intel LGA2011 socket gave us Sandy Bridge-EP and Ivy Bridge-EP along with DDR3 support. This first socket has been on sale for years and is used in countless servers around the world. 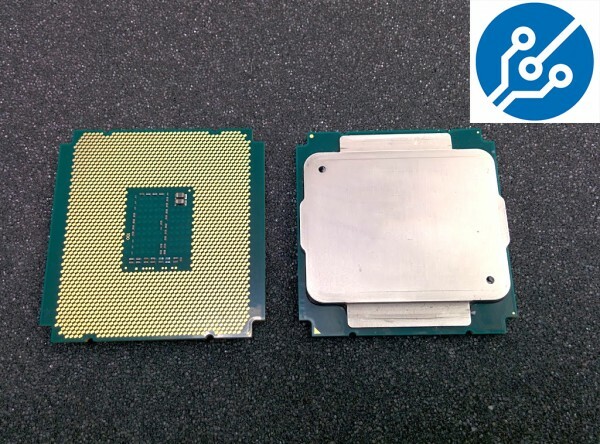 Today we have spy pics of the newer processors: Haswell-EP and the soon launched Ivy Bridge-EX. Haswell-EP features a slightly different PCB shape with different cutouts. The current processors also have extra metal securing the thermal transfer plate to the PCB. As Intel is launching this week we also have the Ivy Bridge-EX. Here we again see a LGA2011 socket. This time also a different PCB shape and notches for the socket. 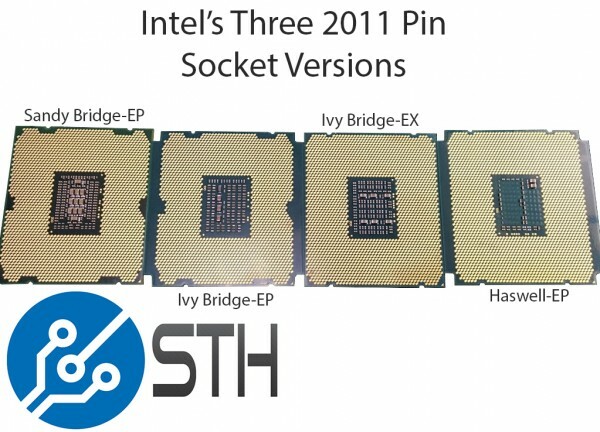 Clearly the new Intel Ivy Bridge-EX CPUs and the upcoming Haswell-EP processors have different pin outs than today’s Sandy Bridge-EP and Ivy Bridge-EP sockets. To prove this point we placed all four processors next to one another to see the differences in sockets. The general dimensions are about the same, as are the configurations with components surrounding each set of LGA2011 contact pads. One will notice that the placement of those contact pads, the PCB surrounding them as well as the notches are different for the two new LGA2011 sockets Intel will offer for sale this year. Of course, this may end up being a bit confusing in the second hand market for motherboards because simply LGA2011 will have at least three different meanings by the time we end 2014. One would have hoped Intel could have made a different naming convention for each socket than simply appending -2 or -3 at the end (e.g. LGA2011-3) since that seems like an after thought.